Arguably the first major decision you’ll make when building a website, domain selection doesn’t get as much attention as it deserves. The name and format you select for one or more domains will ultimately impact how search engines and visitors alike see your brand whenever they come across your website. While understanding the nature of business within one’s home country may be easy enough, there is even more to consider when buying a domain name for an international audience. How can you be sure to make the right decision? As it turns out, there are a few factors to evaluate before committing. We’ll look at those factors today and help you make the best decision. There are multiple choices in picking the format of your new international domain. For many well-established brands, using an extension of their existing domain may be the best choice. This is done via a sub-domain for a particular country rather than utilizing an entirely separate domain with the relevant country code. Many brands choose this so that their international pages have some relevance and connection to the SEO of their main site. Another choice is the use of a subfolder. Much like with sub-domains, the SEO benefits are retained for the new pages in question. However, there are drawbacks, such as the lack of a clear connection with the country being targeted by the efforts. Nevertheless, many brands have utilized this approach and manage to rank in search without major issue. 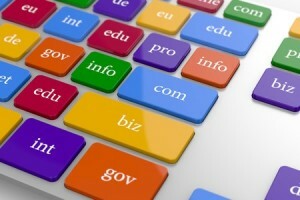 Last but not least, you can also choose a completely new top-level domain. This can be done so that your website has the name domain as your existing one(s), but features the country code in its domain for added geographical relevance. It is absolutely vital that you pick the appropriate domain for your business needs, but there are other factors to consider when marketing internationally. For instance, it is crucial that you avoid any faux-pas in the wording or spelling of your domain. In some countries, a brand name or phrase may have a negative or even vulgar meaning, which will do irreparable harm to your brand’s image there. Likewise, you’ll want to consider exactly how people in other countries feel about the length and format of your domain. Pinging servers with a longer domain may not be an issue in one country, but in another (especially where character sets are built around words rather than letters), it could be a negative. There will likely be others targeting the same people in the same market, and have probably already established a presence. What have they used to be successful, and is there any commonality in the way in which they’re choosing domain names? Native businesses are the best examples to consider, but you may also be able to learn lessons from multi-national brands that are doing the same thing you are. A bit of competitor research can help you deduce whether there are patterns between domain selection and performance, helping you avoid pinging servers with domain structures that are less than optimal. Picking the right domain for international audiences involves a bit of consideration, but the situation can easily be navigated. By choosing the best domain structure, evaluating the competition and avoiding any cultural missteps, you’ll be well on your way to excelling in new and exciting markets.